Thanks to Gina Switzer (an artist whose decorated Easter candles have been featured on the NLM to great interest) for drawing my attention to this write-up in the Orthodox Arts Journal of an exhibition that took place in Moscow earlier this year, a presentation of contemporary Russian icon painters. What is interesting is the variety of styles on dsiplay that nevertheless all sit within bounds of what could legitimately be considered a holy icon. Many incorporate stylistic features that might not have been seen in the icons of Rublev in the 15th century. I would characterize what they are doing in the following way: the artist may be breaking past rules, but they never contravene the timeless principles that define the tradition. In the way I am using these words, a “rule” is precise and unbending, the particular application of a “principle” suited to a particular time and place. For example, a rule would be “only use gold for the background in an icon,” which is what I was told when I first started to learn iconography. The underlying principle, on the other hand, is flexible, and is applied in different ways according the needs of the time and place. The principle behind the use of gold for backgrounds is that the background must seem flat and not create the illusion of space, in order to suggest the heavenly realm which is outside time and space. If you look at such icons, you see a variety of background colors and even geometric patterned art, something I was told in my first icon classes should never be seen in an icon! However, they can all be used to suggest flatness, and therefore work well in conforming to the underlying principle. Similarly, when I first learned icon painting I was told that I had to start with a dark background, and then build the form by putting successive layers of lighter toned paint on top; there was even a theological argument used to justify this. Then it was discovered that ancient iconographers used a method whereby a monochrome underpainting was laid down first, and then both light and dark transparent layers washes of paint were put over it. Because the end result - what the final icon actually looks like - was the most important principle, my icon-painting teacher immediately adopted this quicker and easier method of building form. This flexibility is the sign of a vibrant living tradition, one in which individual expression is allowed, but always in conformity to the principles that define it. As a result, the tradition reinvents itself with each new generation and so is able to connect with the people of its day. No tradition can rely exclusively on its canon of past works to maintain its relevance; it must always create anew, or else it will die. This is what Benedict XVI calls for in his analysis of culture in his book, Sing a New Song, in which he explains that it is the responsibility of the artist to connect with people beyond the esoteric circle of the artists and academics who “understand” the tradition. In Benedict’s phrase, he must connect with “the many.” Furthermore, he says that it is “the mark of true creativity” that the artist is able to do this. In other words, the responsibility of the artist is to be popular by creating good and beautiful works of art. Art that is popular isn’t necessarily good, but the very best art will be popular. If the most popular aspects of mass culture today are not edifying and uplifting, then it is the responsibility of Christian artists to produce work that is and which, importantly, connects with modern people. If the artists fail to do so, the fault lies not with the audience, but with the artists for failing to create something that is beautiful enough to command a decent price. This simple test of quality is often seen as too harsh, and I find that there is resistance to it from practicing artists, especially those whose work doesn’t sell. It is to the credit to those who in the mid-20th century reestablished the iconographic tradition in its modern form, that they laid down the foundational principle that allowed for the right sort of flexibility, and so created a living tradition. These people were Russian ex-pats living in France in the mid-20th century, most notably Vladimir Lossky and Leonid Ouspensky. Lossky was a theologian, Ouspensky was a practicing artist as well as a deep thinker. A third artist whose work was influential in the same regard was Gregory Kroug. Oupensky and Lossky had to develop the greater part of these principles themselves. There were no detailed writings about art by the Church Fathers that they could draw on to define the stylistic elements in the way that was necessary to guide artists, and which anyone who has done an icon class will hear from his teacher. They analysed icons that they judged to be good and holy, and developed a theology of form that seemed consistent with what they were looking at. This is what artists needed in order to create work. The principles of this newly established iconographic tradition tell us not so much what artists did in the past, but rather what artists ought to do in the future in order to produce work that bears the mark of the holy icon. The test of the validity of this is not historical accuracy of the principles as proposed, but rather the quality of the work produced by the artists who follow them, and the resilience of the tradition they established - can it outlast the generation that created it? We simply don’t know if the formulae that Ouspensky and Lossky developed correspond precisely to what Rublev would have been aiming for hundreds of years ago. I feel that iconography has passed the test. We are now several generations of teachers and students past Ouspensky. The very best of today’s icon painters are producing icons in this style that stand alongside the great works of the past. and moreover, they are engaging with modern people in the place where they are meant to, in the context of the liturgy. The analysis of these 20th century Russian ex-pats may very well have little credibility in the art history departments of our secular universities, where, I am guessing, it would be dismissed as purely personal speculation. But that doesn’t prevent what they proposed from being good and valid, given the end that they had in mind, namely, the creation of beautiful art that is in harmony with the liturgy. I have to admit that I do not know how flexible Ouspensky and Lossky were themselves in their presentation of this. I once had some excellent classes from someone who was taught directly by Ouspensky in Paris, and who constantly referred to him. The instructions of how to do it were presented as inviolable laws; there was no room for discussion, and from the way that she described Ouspensky, it seems this is how it was presented to her. Nevertheless, she did explain the reason for the rule in each case. Once we understand why we are doing something - the end towards which the rule is directed - then regardless of how flexible Ouspensky would have been himself, this builds the possibility of changes that can be justified, provided they bring about the same end. Even if we discover in the future that these principles are at variance with those used centuries ago - perhaps with the discovery of the some set of ancient scrolls - this in no way alters the validity of what has been developed in the 20th century. It simply gives us an alternative set of principles available to the artist who wishes to paint for the Church. 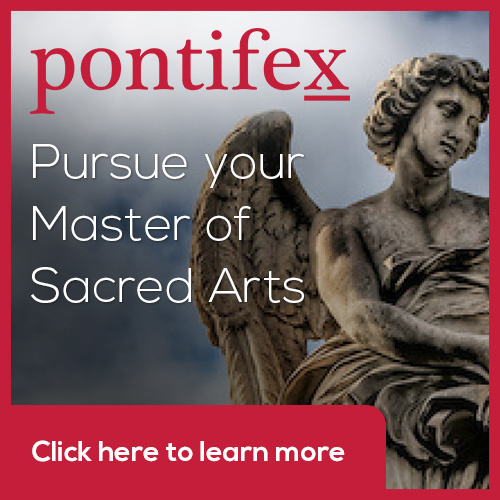 We can look to this pattern for reestablishing artistic traditions in the Western Church too. There are different things we can do. First is to work within the iconographic style and produce styles that connect with those who worship in the Roman Rite. Icon painters such as Aidan Hart have been doing this. Aidan is Orthodox, but he looks for inspiration to the styles of the Church in the West prior to the schism that were consistent with the iconographic prototype, such as the Romanesque. As a result, he is creating a 21st century style of Western iconography that connects with worshipers in the West, who worship in both the Roman and Byzantine Rites. 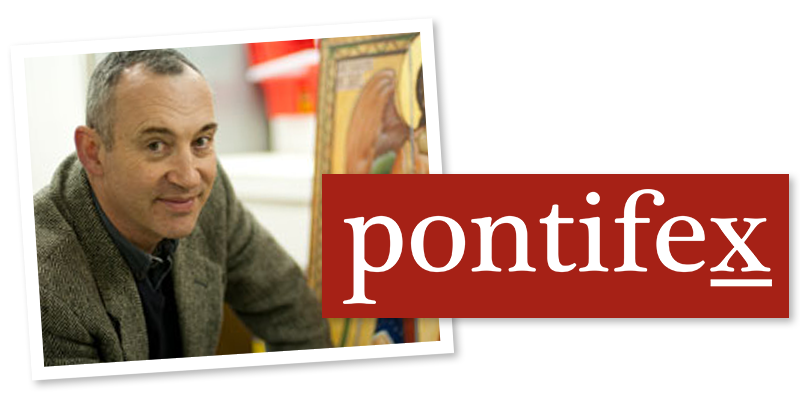 Moreover, he passes the Benedict XVI “creativity test” - his work connects with the many and is in great demand. The other thing that we can do is apply the Ouspensky/Lossky type of analysis to the other liturgical traditions of the Roman Church, the Gothic and the Baroque. St John Paul II understood this, and for this reason called in his Letter to Artists for a renewed dialogue between the Church and artists. The final section of my book The Way of Beauty is my attempt to do just this. You can judge for yourself the validity of what I propose, but regardless, we need our own Losskys and Ouspenkys in the Roman Church! I present my favorites from the article - for the credits for the artists go to the Orthodox Art Journal. The one name I will mention here is the painter of the first icon below, Fr Zinon, who is perhaps the most famous icon painter of the present day.